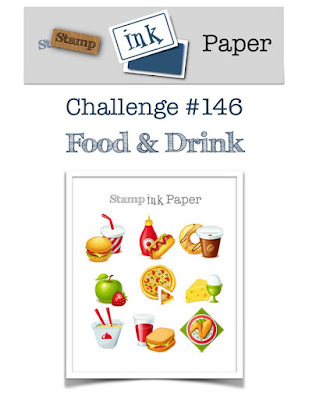 Welcome to this week's Stamp Ink Paper "Food & Drink" challenge. Here's my card Featuring the Coffee Cups framelits, Happy Birthday thinlits and Foil Frenzy Specialty papers. The cardstock used is Basic Black &Crumb Cake. My card base is cut slightly shorter than normal so that my Cup topper sitting over the top edge will still fit into a standard envelope. A little bit of Linen Thread completes the cup and I've kept this card quite CAS. I hope you like this card. Please let me know as I love hearing from you. For more inspiration for this "Food & Drink" challenge head over to Stamp Ink Paper to see what our other designers have created for you and please play along. We look forward to seeing what you create. 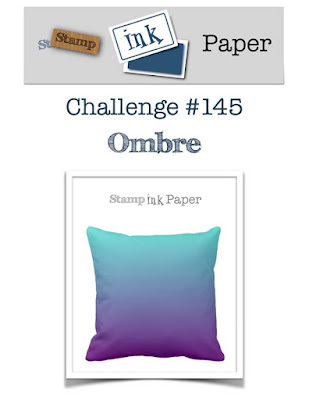 Welcome to this week's "Ombre" challenge at Stamp Ink Paper. We hope you will join in for this one. I've chosen to go with a simple card design using one of my favourite dies, Detailed Dragonfly thinlits. My cardstock is Flirty Flamingo, Basic Black, Shimmer White, Rich Razzleberry and Silver foil. I've used sponges to ink the Shimmer card and create my ombre effect. Below is a closeup of the dragonfly. Thanks for joining us this week at Stamp Ink Paper. I can't wait to see your creation. Have a great day. 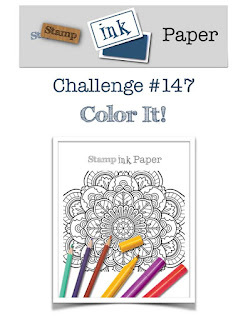 Welcome to this weeks challenge at Stamp Ink Paper. We have a Birthday theme and this should be popular. Its always handy to have Birthday cards ready in advance. Here's my card using the Cake Soiree bundle and the Sweet Soiree specialty dsp. The cardstock I've used is Sweet Sugarplum, Soft Sky and Whisper White. Here's a closer look. That patterned paper is so pretty. I love it. I've kept this one quite CAS as the patterned paper is quite busy enough. 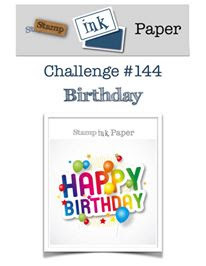 Looking forward to seeing your creations for this week's Happy Birthday challenge at Stamp Ink Paper. You could also have the opportunity to guest design for us just for playing along. We can't wait to see what you make.